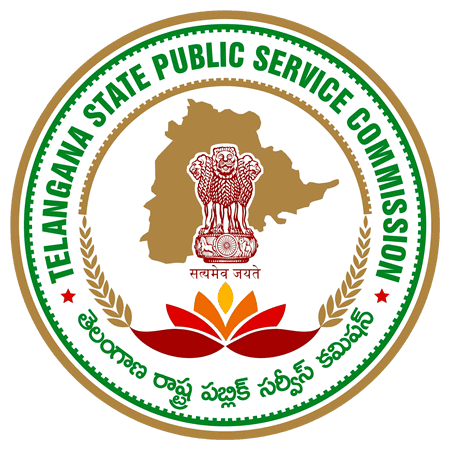 TSPSC Result 2019: Below are the latest results published by TSPSC - Telangana State Public Service Commission (TSPSC) / tspsc.gov.in. The recent result announced by the organization is VRO 2nd Spell CV Result 2019. TSPSC VRO 2nd Spell CV Result 2019: Telangana State Public Service Commission (TSPSC) has announced the Result on 01 Apr 2019 for TSPSC VRO 2nd Spell CV Exam 2019 . TSPSC MPSO/ ASO Exam Result: Telangana State Public Service Commission (TSPSC) has announced the Result on 01 Jan 2019 for TSPSC MPSO/ ASO Exam . TSPSC VRO Exam Result 2018: Telangana State Public Service Commission (TSPSC) has announced the Result on 07 Dec 2018 for TSPSC VRO Exam 2018 . TSPSC Hostel Welfare Officer Result 2018: Telangana State Public Service Commission (TSPSC) has announced the Result on 06 Dec 2018 for Hostel Welfare Officer Exam 2018 . TSPSC Group 2 Exam Result 2018: Telangana State Public Service Commission (TSPSC) has announced the Result on 28 Nov 2018 for TSPSC Group 2 Exam 2018 . TSPSC Forest Section Officer Result 2018: Telangana State Public Service Commission (TSPSC) has announced the Result on 26 Nov 2018 for TSPSC Forest Section Officer Exam 2018 . TSPSC Tutor (Clinical Department) Result 2018: Telangana State Public Service Commission (TSPSC) has announced the Result on 24 Nov 2018 for TSPSC Tutor (Clinical Department) Exam 2018 . TSPSC Degree College Lecturers Result 2018: Telangana State Public Service Commission (TSPSC) has announced the Result on 24 Nov 2018 for TSPSC Degree College Lecturers Exam 2018 . TSPSC Degree College Lecturer Result 2018: Telangana State Public Service Commission (TSPSC) has announced the Result on 21 Nov 2018 for TSPSC Degree College Lecturer Exam 2018 . TSPSC Degree College Lecturers Result 2018: Telangana State Public Service Commission (TSPSC) has announced the Result on 13 Nov 2018 for TSPSC Degree College Lecturers Exam- 2018 . TSPSC Degree College Lecturer Result 2018: Telangana State Public Service Commission (TSPSC) has announced the Result on 03 Nov 2018 for the exam . TSPSC School Assistant (Telugu) Result 2018: Telangana State Public Service Commission (TSPSC) has announced the Result on 01 Nov 2018 for School Assistant (Telugu) Exam 2018 . TSPSC School Assistant Telugu Result 2018: Telangana State Public Service Commission (TSPSC) has announced the Result on 22 Oct 2018 for the exam . TSPSC Teacher Recruitment Test Result 2018: Telangana State Public Service Commission (TSPSC) has announced the Result on 19 Oct 2018 for the exam . TSPSC AEE Civil Result 2018: Telangana State Public Service Commission (TSPSC) has announced the Result on 08 Oct 2018 for the exam . TSPSC Forest Range Officer Result 2018 (46/2017): Telangana State Public Service Commission (TSPSC) has announced the Result on 06 Oct 2018 for the exam . TSPSC AEE Civil Marks 2018: Telangana State Public Service Commission (TSPSC) has announced the Result on 04 Oct 2018 for the exam . TSPSC School Assistant Result 2018: Telangana State Public Service Commission (TSPSC) has announced the Result on 01 Oct 2018 for the exam . TSPSC Principal Result 2018: Telangana State Public Service Commission (TSPSC) has announced the Result on 17 Sep 2018 for Principal Exam 2018 . TSPSC Assistant Executive Engineer Result 2018: Telangana State Public Service Commission (TSPSC) has announced the Result on 15 Sep 2018 for the exam .